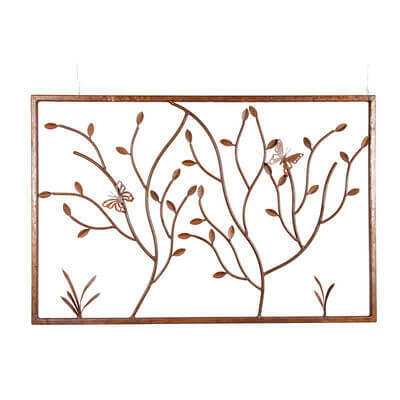 This Butterflies on Branches Wall Art is made from mild steel which has developed a unique rust patina. This rusted surface can then be sealed to preserve the metal. Alternatively we can produce this piece in a powder coated finish for an additional cost. This artwork is 550mm high by 900mm wide.